Hilma, Ellisville, MO, will introduce magnetic quick-die-change apparatues, in addition to showcasing its hydraulic die clamping. 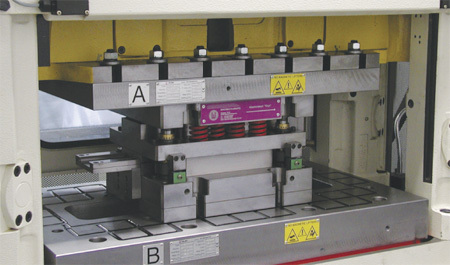 Its new M-Tecs magnetic system, custom-engineered to the application, clamps existing dies without retooling. Clamping force is evenly distributed, reducing tool wear.